We had the great opportunity of co-presenting with Beth from Coca-Cola and a handful of other agencies operating in the co-creation space at the MRS conference in a shared session called Big Brand Co-Creation. It was a great session that we all saw as a chance to collectively raise the profile of Co-Creation as a discipline and show the extent to which it has come of age as a discipline within the industry. 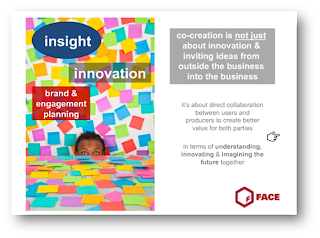 Each of us was charged with showing a slightly different dimension of co-creation, highlighting the scope and variety of the ways it could be used to achieve great things with big brands. 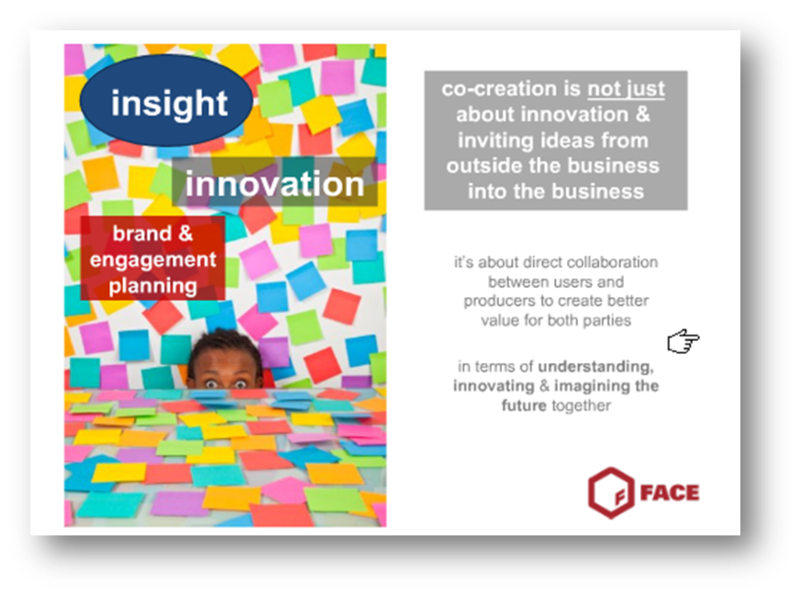 The emphasis of our paper was on taking co-creative principles of collaboration, real time, speed & open-ended thinking into a traditional insight focused brief, highlighting how co-creation was not just about bringing new ideas into a business, or a party trick for something fun and low risk, but could actually be applied at the heart of the insight function, aimed at building a complete foundation of insight.